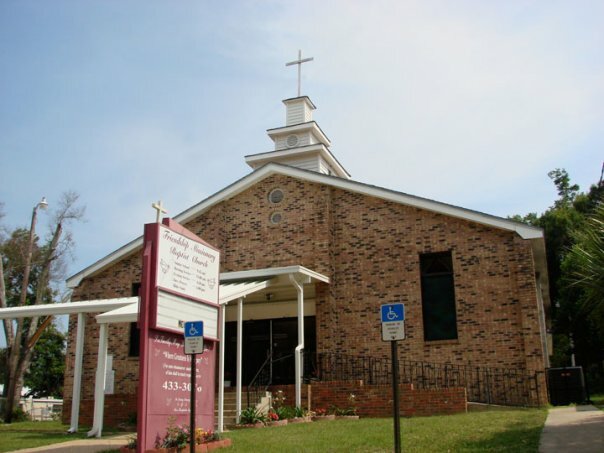 In the year 1937, Friendship Missionary Baptist Church was established here at its former location of 1213 W. Blount Street. Prior to this time, the late Rev. G. W. Trawick, his wife, Sis. Rebbie Trawick, and a faithful few spread God’s word from house to house. Rev. Trawick pastored for over 20 years before his health failed. At which time, Rev. David Savage and Rev. Loftin served respectively as pastor until the installation of Rev. Theophalis May in 1969. For thirty-eight (38) years, Rev. Theophalis May would serve as pastor of Friendship while his wife, Sis. Mary May, served as first lady. With the work of his hands, the sweat of his brow and the help of the community, Rev. T. May built the very church we gather in today. Although renovation was required due to damage caused by Hurricane Ivan in 2004, much of Rev. T. May’s original workmanship was preserved. Rev. Theophalis May diligently pastored the Friendship family and contributed greatly to the history of this and many other cities during the course of his life. After his passing in 2006, his son, Rev. LuTimothy I. May, Sr., served as interim pastor and was installed in August of the same year. Some of the old warriors of this great church who have gone on are: Sis. Garner, Sis. Elizabeth May, Sis. Crenshaw, Sis. Della Lewis, and many more who have played a vital part in the church’s history. We are very thankful to God for allowing us to prosper under their leadership. Today we are one of God’s striving churches. I’m sure our founder is smiling on us. The legacy of Friendship Missionary Baptist Church is one of greatness and continues to advance under the leadership of our pastor Rev. 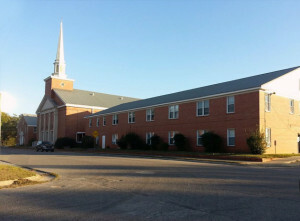 LuTimothy May, Sr.
After continued growth, the search for a new church home began. After years of searching, God allowed the purchase of the former Brownsville Baptist Church. The new Friendship location offers more than 50,000 square feet of space. On Aug 4, 2013, Friendship commemorated the historical move to our new location of 2601 W. Strong St. This commemorative worship service was followed by a series of weekly celebratory services being held on each Wednesday through Sept. 4, 2013. The campus sits on two city blocks of land and will house various outreach programs, including a private school, early childhood development center, and more. Rev. LuTimothy May, Sr., along with his faithful congregation, are continuously thanking God for all His goodness and pressing toward the mark for the prize of the high calling of God in Christ Jesus.